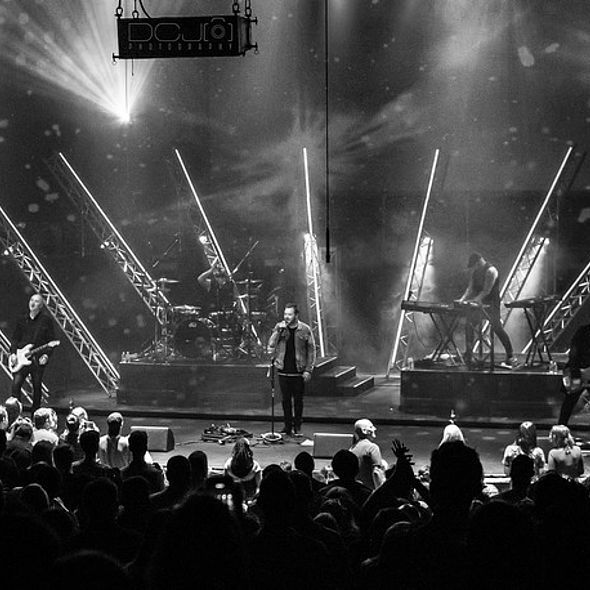 Celebrity endorsement is something most brands dream about, and some pay massively for … BUT when South Africa’s foremost and hugely popular rock band Prime Circle decided to actually invest in Robe moving lights ... it took the concept to a completely different level! 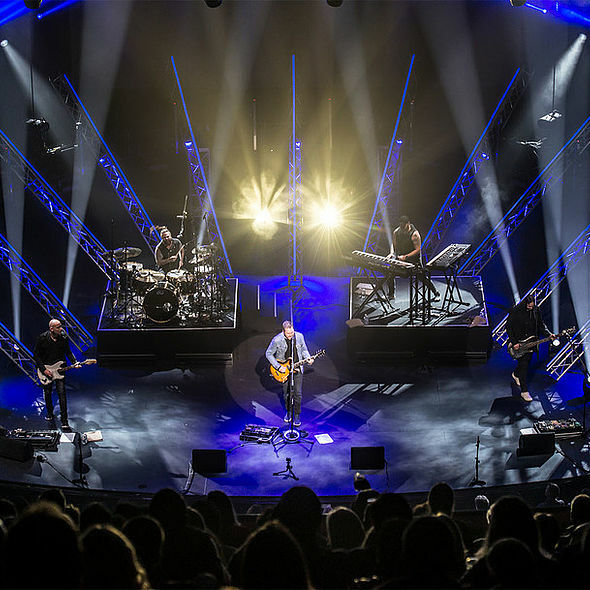 Marco Gomes the band’s bass guitarist, songwriter and manager together with lighting designer Benjamin “Benji” Muir-Mills chose Robe miniPointes, LEDBeam 150s and VIVAs which the band have purchased from South African distributor DWR. 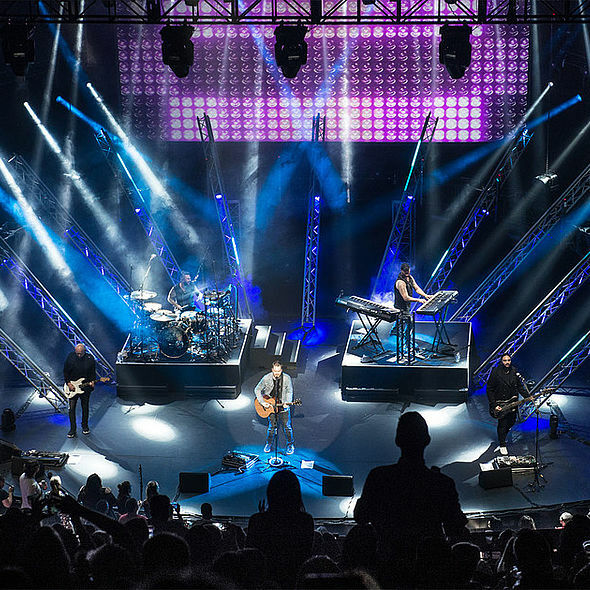 Marco and Benji explained that touring in South Africa can be challenging – many venues on the circuit offer minimal lighting, so having their own rig now means that wherever they go, they can enjoy the continuity of a great lightshow, fans get better production values and less time is needed for re-plotting each show. Instead that creative clawback can be spent in developing the core lightshow they now enjoy with their own kit. It also makes get ins and outs significantly quicker and more efficient! Marco made the final decisions on which lights to buy, however Benji was actively involved with suggestions, and the three types of Robe fixture were chosen for their brightness, zoom ranges and compact sizes – the “beautiful” colour mixing of the LEDBeam 150s; the “brightness and speed” of the miniPointes and the ”fantastic light quality” of the VIVAs. This is Prime Circle’s first Robe purchase, and the intention will be to expand the rig in the future. The decision to go with Robe was based on having used the products on many occasions. Pointes have always been on Benji’s favourites list, and the little LEDBeam 150 is fast becoming his preferred small wash beam fixtures. Another key reason for choosing Robe is the service from DWR. “They are always incredibly supportive and friendly and offer some of the best general industry support in the country,” stated Benji. Prime Circle has already started using the new lighting on shows which has “upped the aesthetic substantially” says Benji, adding that he still has a lot of work to do in terms of developing the new show, and he wishes he could use them on every gig, but for now it will be just their SA shows when it’s practical. 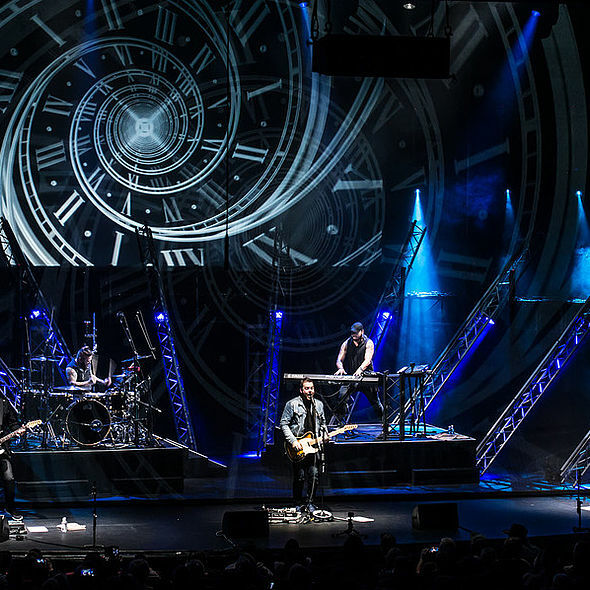 Prime Circle was founded in December 2001 and have recorded seven studio albums and cultivated a hugely enthusiastic and loyal fanbase throughout South Africa and in several parts of Europe. They are an interesting band to light explained Benji, “with wide variety of tempos from slow isolated ballads to big heavy rock numbers”, therefore lighting needs to cover a great dynamic range from intimate and compelling one moment to huge rock-out numbers the next! Benji has in fact called on all the skills and techniques he originally learned and practiced in theatre, both to light the band and the audience so all are part of the action! Benji’s career as a lighting professional started in the theatre, but his interest in entertainment technology has been serious since schooldays when he ran his school theatre’s tech department. He’s been freelancing for the last three years and concentrated on lighting design in all areas of entertainment. While theatre is his ‘home’, he loves the thrill of lighting “in the high impact, fast-paced world of rock ‘n’ roll”. Benji really enjoys working with the band and especially the opportunity to travel. The whole experience has been an incredible learning curve for him, from being in a world where he plotted and cue-stacked everything to lighting a full-on show with just a few palettes prepared and a lot of improvisation each night, all of which has led him to different approaches on the control side as well. A couple of years back the band purchased a dot2 console from DWR and now having their own lights to use with it makes for an excellent basic touring system. 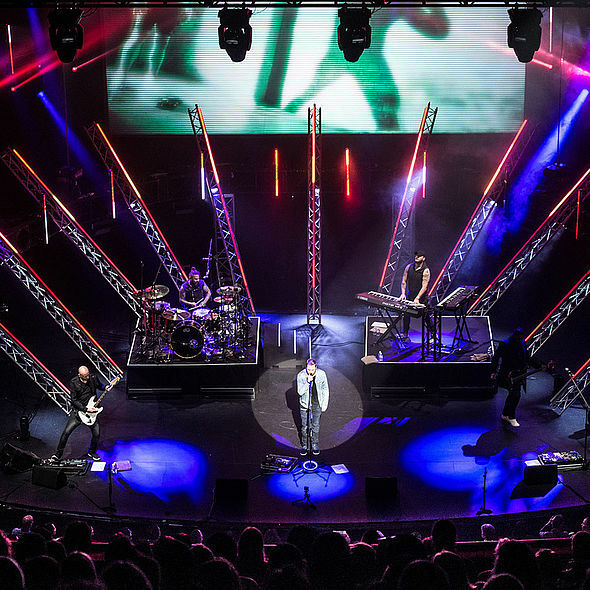 DWR’s Duncan Riley concluded, “Prime Circle is one of my personal favourites and it’s an honour to supply equipment to the heroes in our music industry!